2014 will represent an opportunity for many people to stop smoking and give their lungs a breather. Dr. Lata Shah, a board-certified pulmonologist and critical care physician with Wellmont Medical Associates Pulmonology & Sleep in Rogersville, said this is a wise move. By setting aside the cigarettes, cigars and pipes, people achieve many health benefits, including minimizing their chances of developing lung cancer and eliminating one of the causes of heart attacks, Dr. Shah said. Another plus to making this one simple change is financial – no longer spending money on tobacco products and not having to pay healthcare expenses related to smoking. To achieve success in this healthy endeavor, though, Dr. Shah said the most important component is a person’s mindset. Dr. Shah said people who are ready to make the effort have multiple options. She said smoking cessation counseling, which is available in her office, will empower people to learn how to handle withdrawal symptoms, anxiety and other issues that can trigger people to return to tobacco products. Some people might be able to quit smoking cold turkey, but Dr. Shah said that might not be the best approach for everyone. They might need help from nicotine patches, nicotine gum or medication to help them eliminate tobacco from their life. The patches and gum are available over the counter and provide different levels of nicotine depending how strong a person’s smoking habit has been. Patches are placed on the bicep, and the nicotine is absorbed through the skin. The gum supplies the nicotine orally. Dr. Shah said the goal is to reduce the strength of nicotine in the patches and gum over time, with the eventual goal of stopping their usage. One prescription medication on the market for smoking cessation is Chantix, which acts on receptors in the brain to help a person no longer smoke, Dr. Shah said. It does have potential side effects, such as nightmares, worsening depression, anxiety and psychosis. Another option is Bupropion, which accomplishes the same mission via a different mechanism, she said. Side effects of this drug include anxiety, agitation, insomnia and seizures. People should check with their insurance carrier to determine whether these medications are covered. If patches, gum and medication are not affordable, and quitting immediately is not workable, people can establish a calendar by which they will stop smoking and develop a plan to gradually reduce usage prior to that date, Dr. Shah said. She said it also helps to alert others about this plan so they can prepare and help, as necessary. Dr. Shah is certified in pulmonology, critical care, sleep medicine and internal medicine by the American Board of Internal Medicine. Patients interested in consulting her about smoking cessation or other pulmonary matters should call 423-272-2111. A referral from a primary care physician might be necessary. Further information about smoking cessation is accessible in Wellmont’s Health Library, which is available at www.wellmont.org. Wellmont has provided this informative resource as part of its LiveWell initiative. This free community program, launched in the summer, is a collaborative effort to encourage the region to commit to important habits such as regular exercise, healthy diets and maintaining proper blood pressure, cholesterol and blood sugar levels. 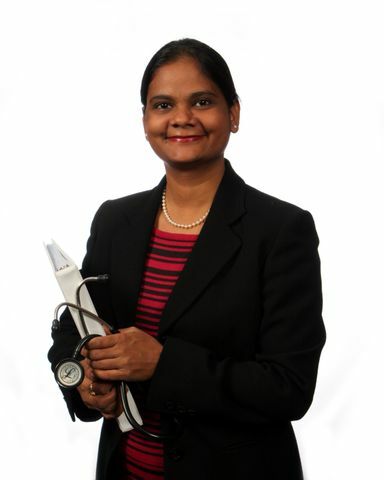 Download photo of Dr. Lata Shah.